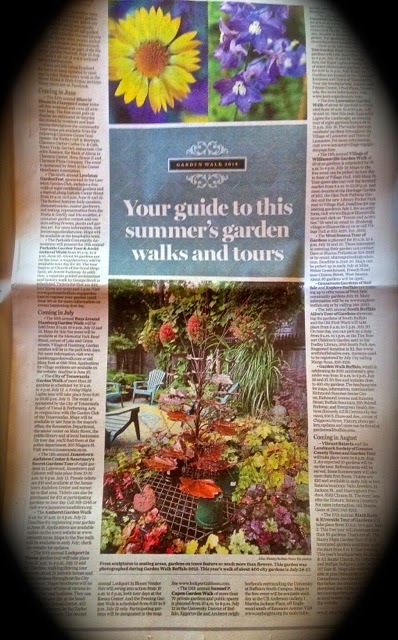 My coral bell fountain in The Buffalo News. 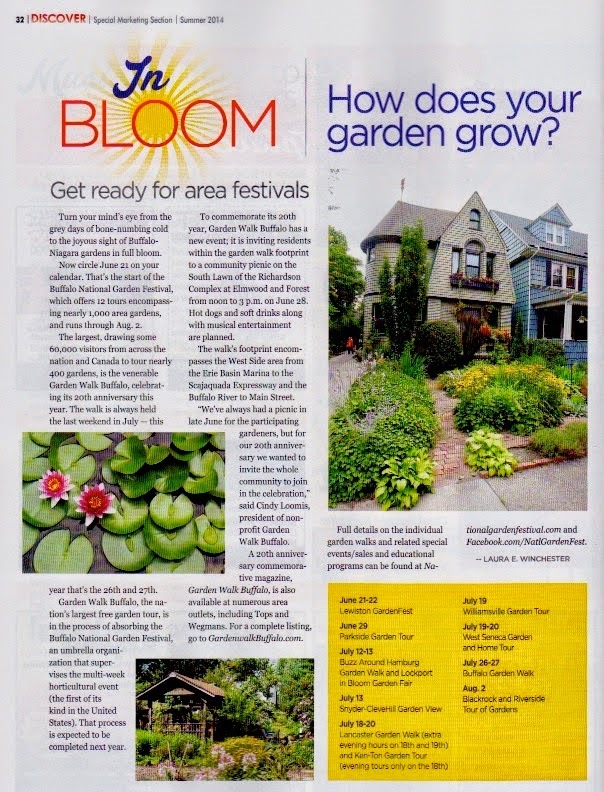 Last week was a huge garden media week for us here at the Charlier Gardens. 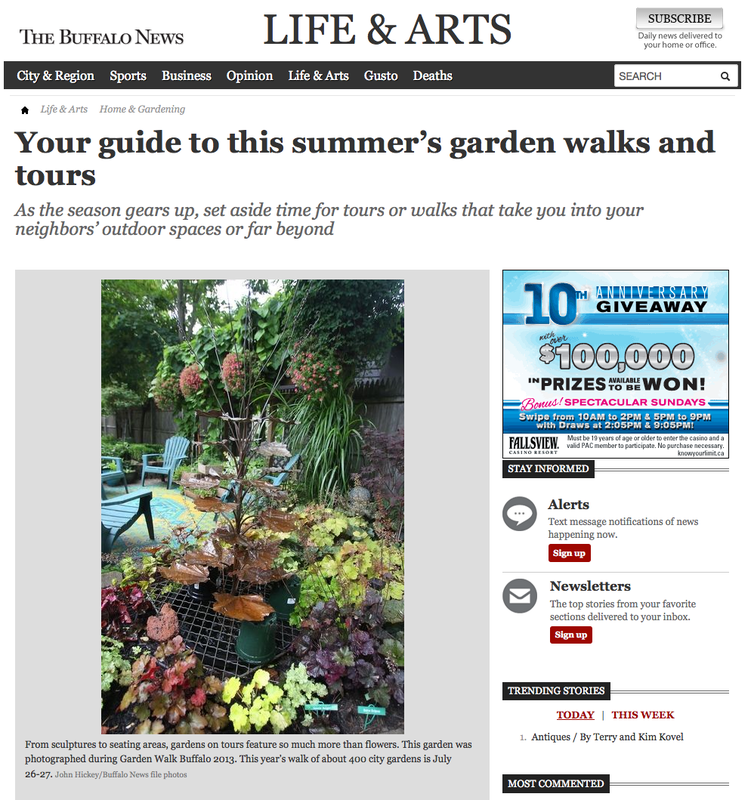 It started off with a quarter-page photo of my handmade copper coral bell fountain in the bed of coral bells (heuchera) in The Buffalo News, along with a quote from me about what the "talk" will be for this year's Garden Walk - the article written by lifestyle editor and columnist Susan Martin. 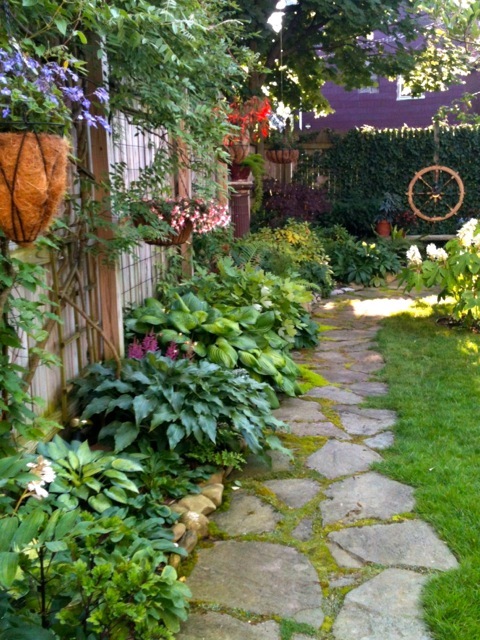 Spoiler alert: topic of discussion this year will be the long and harsh winter. The photo and quote were also on the online version of the newspaper. And then Sally Cunningham, WIVB Channel 4 garden reporter, did a live remote TV segment from the garden later that same morning – ostensibly to show off "structure in the garden" starting with my espaliers, but we did a quick three-minute walk through the garden pointing out the coral bell bed, climbing vines, the potager garden, the hanging succulent frame (which isn't hung yet), and the Harry Potter Garden. I don't have any footage of the TV segment. But if any one does see it, remember the camera adds ten pounds. And there had to be, like, four cameras on me. I even had a woman show up, out of the blue, this past Friday, that had seen the TV segment and wanted a closer look at the succulent frame's construction. 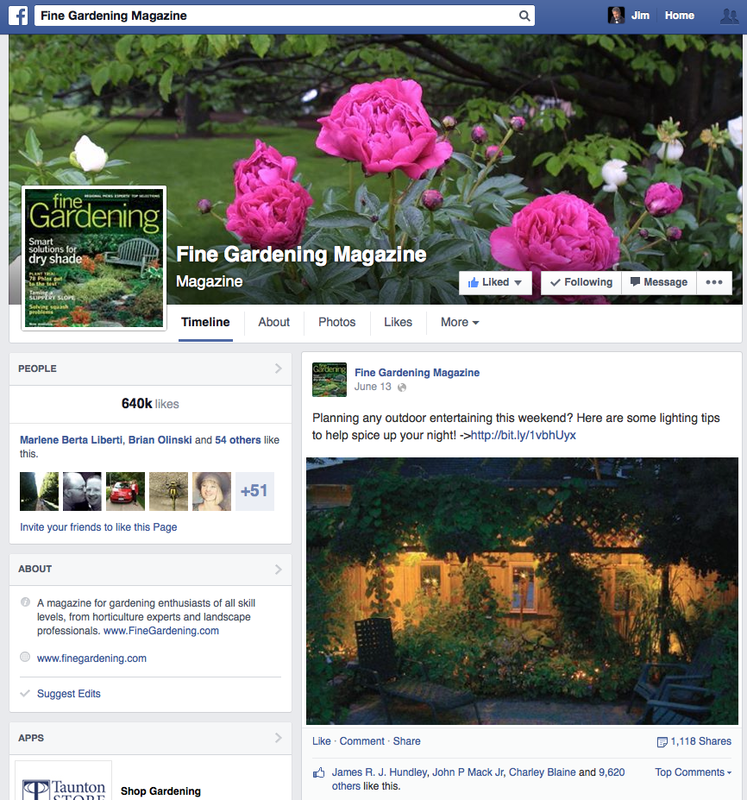 Then, over the past weekend, I saw an photo of my garden I took for a Fine Gardening magazine article was used as a teaser for one of their Facebook posts. 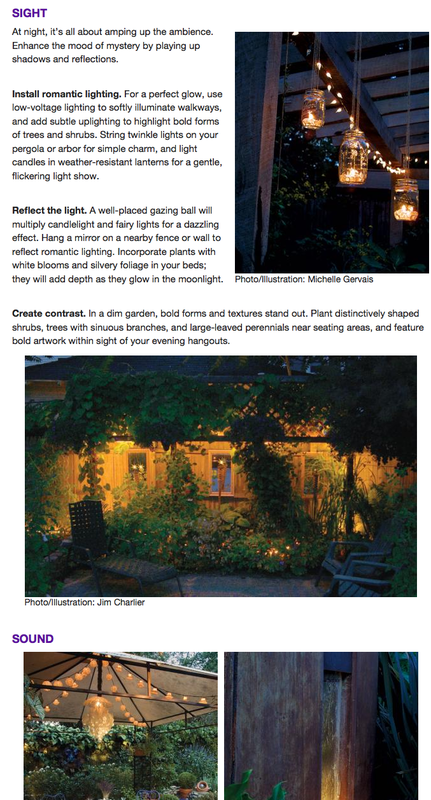 The article was about spicing up the garden at night with light, sound, and scent. The post got over 9,600 likes and was shared more than 1,100 times. And it appeared on their website also with the actual article. You can read it here. 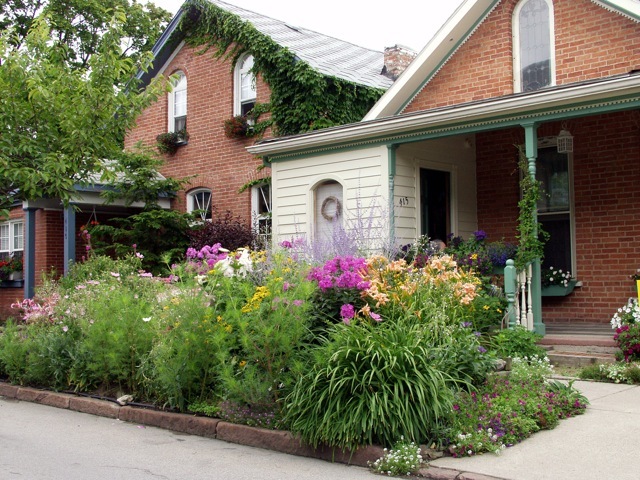 Add to all this the photo of the front gardens that appeared in The Buffalo News' specialty publication Discover a few weeks back, and you got the makings of a real media whore. I'm in media and marketing. The last few weeks was what one would call a slam dunk. 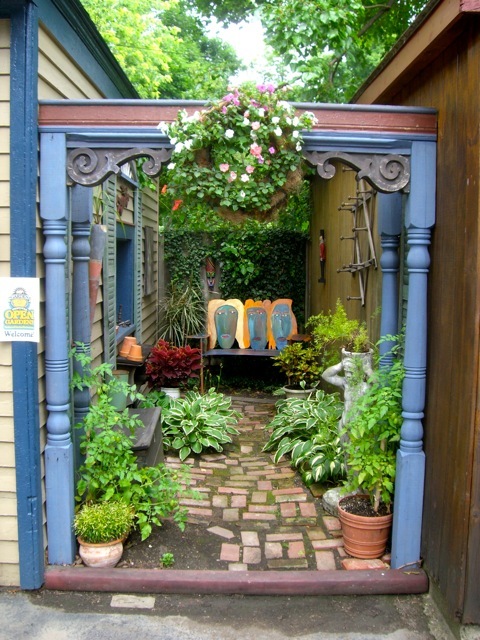 Too bad the garden doesn't make money for me. I'd say you hit it out of the park but you probably wouldn't get the sports metaphor! Slam dunk. Grand slam. Out of the ballpark. Home run. Nothin' but net. Full-court press. I get teh sports metaphors. It's the sports I don't get. Way to go! Whore on.